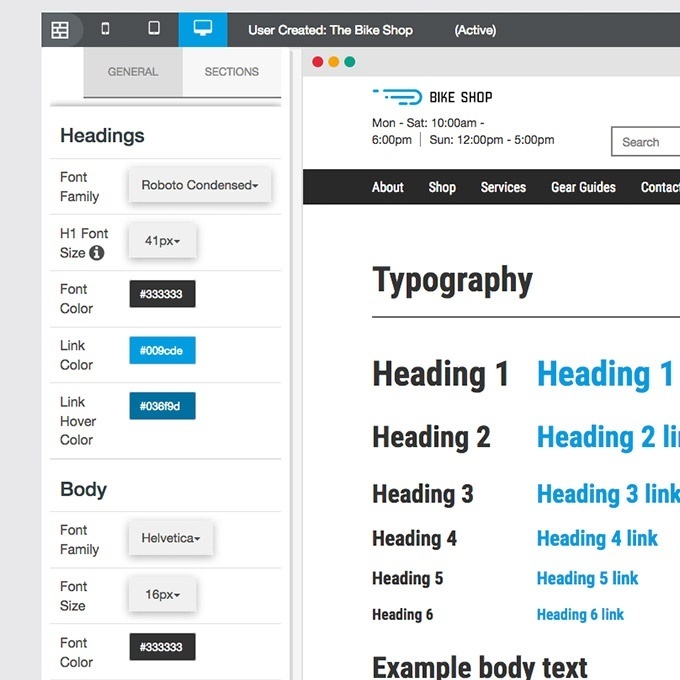 SmartEtailing is an advanced content management system designed to help small business owners like you customize your bike shop website with thoughtfully designed tools. Our websites are available in multiple templates with several variable site settings. 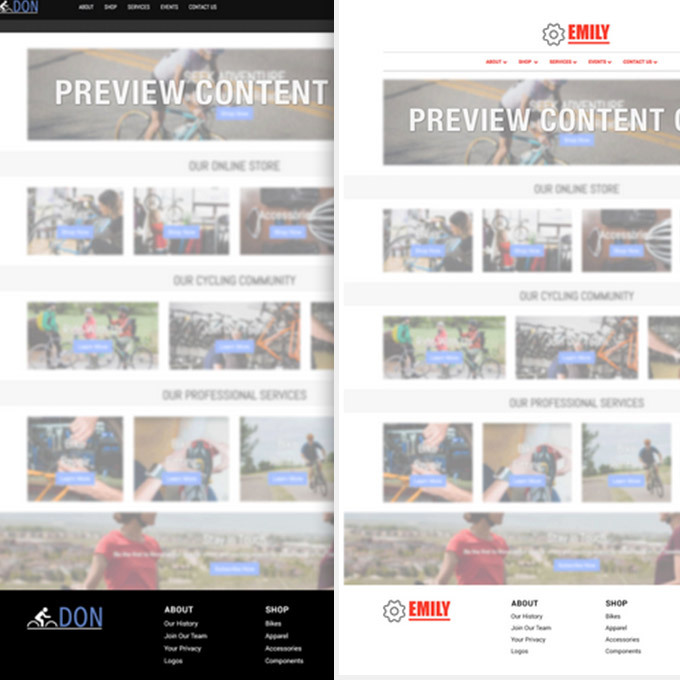 Individual website pages can be created using dozens of pre-designed content blocks that you can easily modify to meet your local needs. Our friendly Support team offers free assistance to make sure any questions are answered promptly with hands-on coaching when needed. You can choose from our growing library of templates to achieve the look you want for your local business. SmartEtailing websites are designed to be fully responsive, meaning they work well for any screen size. Shoppers on a mobile phone get an experience as effective as a shopper visiting from a tablet or desktop. Once you have selected your template you can adjust your website settings to customize the colors, fonts, and styles throughout your site. 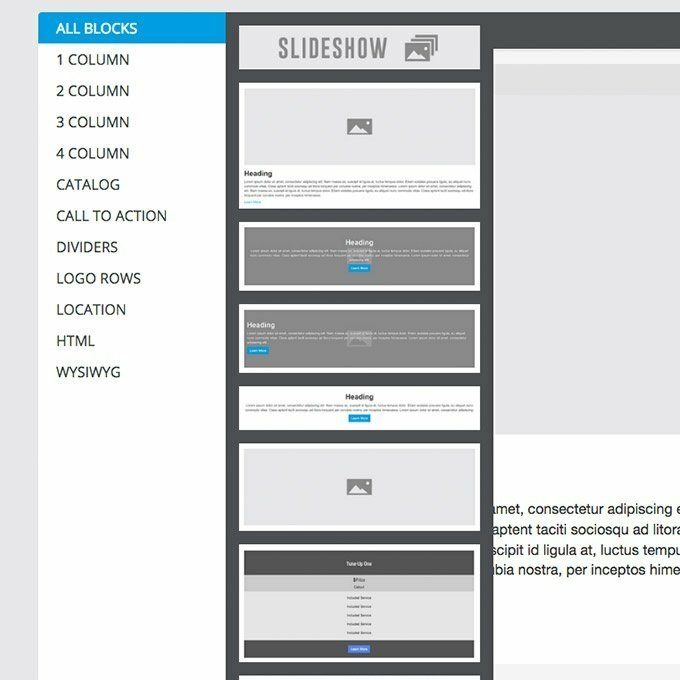 A real time preview shows you changes as you work so you can quickly personalize your SmartEtailing website. Looking for something more? You have access to custom CSS and our in-house marketing agency for even more control. 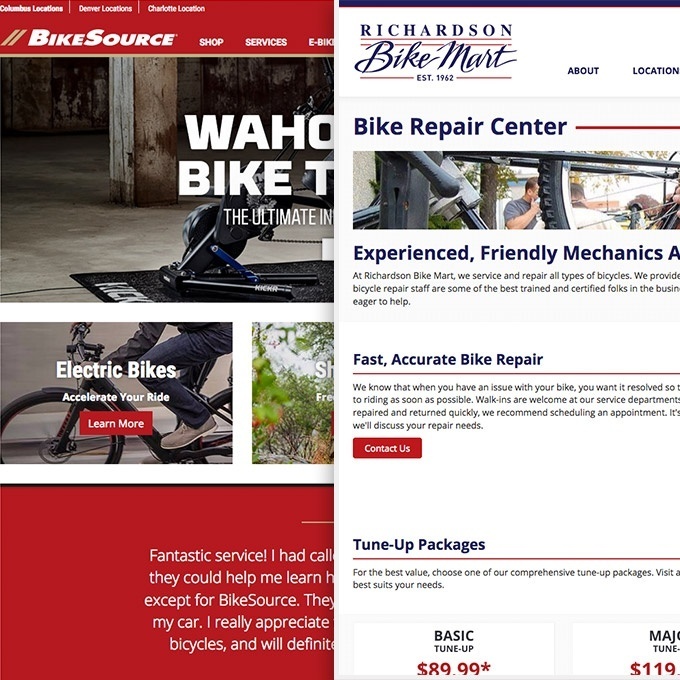 From your homepage to your service page, every page of your website can be customized using our intuitive drag-and-drop responsive page builder tools. Select from a number of pre-designed content blocks to meet your needs, upload and crop images, and edit text all within one easy-to-use interface. Change the order of page elements to meet your needs and schedule sections to turn on and off to make managing the seasonal demands of your business more practical. SmartEtailing responsive templates are built using the Bootstrap framework, the world's most popular front-end component library. Bootstrap is an open source toolkit for developing with HTML, CSS, and JS. Advanced users have access to tools for more ambitious customization. Our expert in-house marketing agency can design and build highly personalized websites. 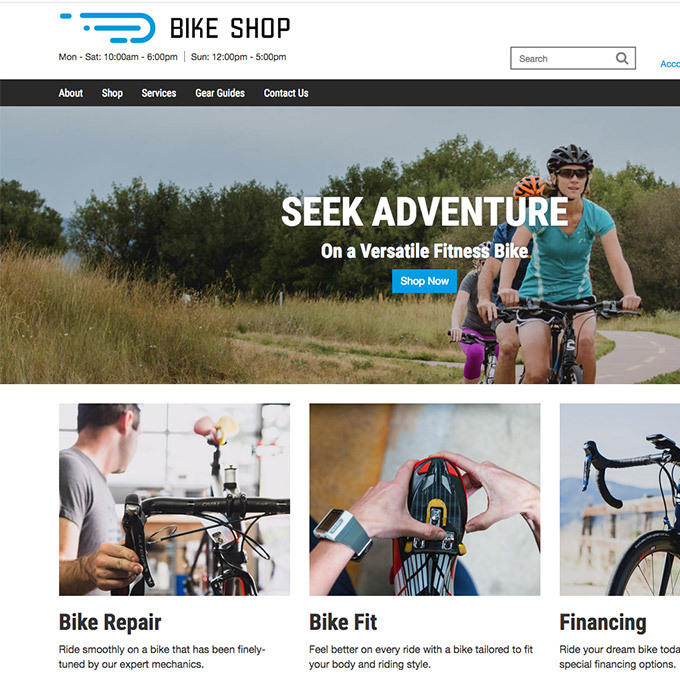 We have proven expertise from working with hundreds of independent bicycle retailers and nobody knows the SmartEtailing platform better than our team. Change your future with a website from SmartEtailing.